John Guelly is a third-generation canola, wheat and malt barley farmer from Westlock, Alberta, where he was born and raised. John has been a Director of Region 5 for Alberta Canola since 2015 and is currently the Vice Chair as well as the Research Committee & Governance and Finance Committee Chair. John is the Alberta grower representative for the Western Canada Canola Rapeseed Recommending Committee (WCCRRC), the Canola Performance Trials (CPTs) where he is also the Chair of the Governance Committee. 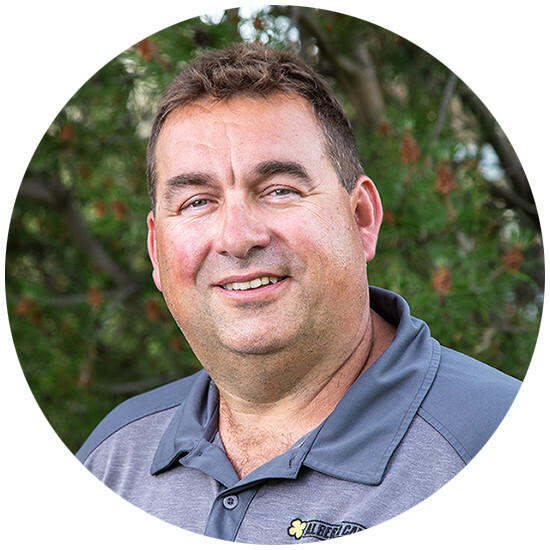 John is a Professional Engineer (B.Sc in Ag Engineering from the University of Alberta (1990)) and has previously worked in manufacturing while farming but now works winters consulting while operating the family farm. His passion is agriculture and specifically canola. He enjoys on farm research and trials, most sports as well as interacting on Twitter as @WheatGeerJJ.